Special mortars There are 3 products. 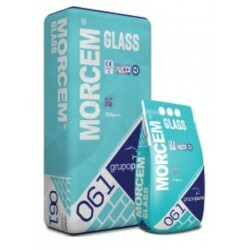 Special adhesive to glue and grout glass blocks. Hight plasticity, resistance and water proofing qualities. Price per 25kg/bag. 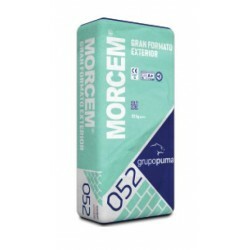 MORCEM LARGE FORMAT EXTERIOR is a dry, cement-based mortar prepared with aggregates of controlled grain size, water repellents and special additives to improve its workability which is suitable for assembling large format ceramic tile partition walls.It has excellent workability and minimal slip. Price per 25kg/bag. Refractory mortar for setting refractory bricks and to plaster areas subjected to very high temperature. 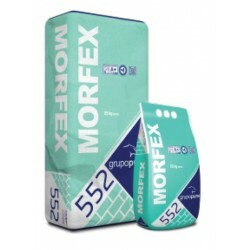 Price per 25kg/bag.